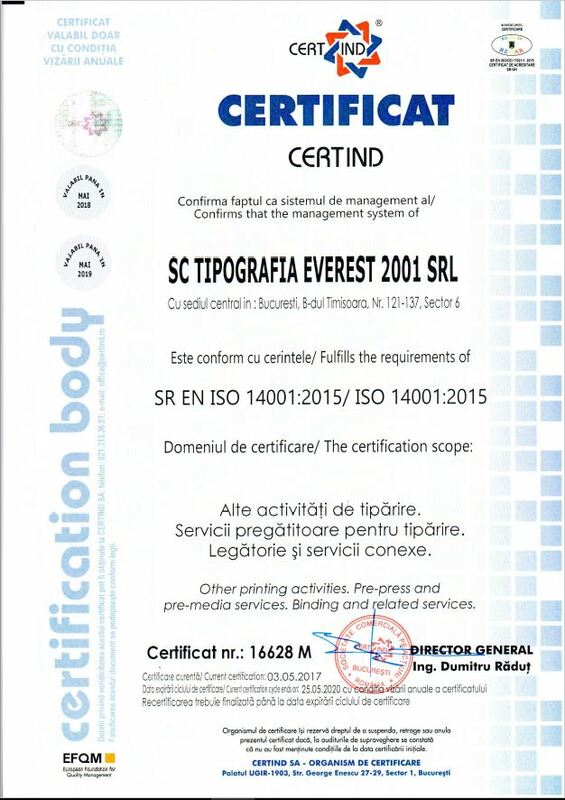 Tipografia Everest 2001 - A printing house with an experience of over 20 years, offering services in offset and digital printing. For 20 years we prepare the future! Imagine a team of over 140 professionals, friendly people dedicated to quality printing, ready to provide you complex services. Tipografia Everest meets the most sophisticated customer needs by offering diversified services of both offset and digital printing, various finishing and ennobling techniques. The printing process is permanently followed to improve the efficiency of each order. Our team uses both sheet and in line printing, to minimize the paper waste and reduce our clients costs. We decided to invest in quality by choosing the best technology for digital printing. In this way, we offer you a wide range of applications which can bring added value to your products. 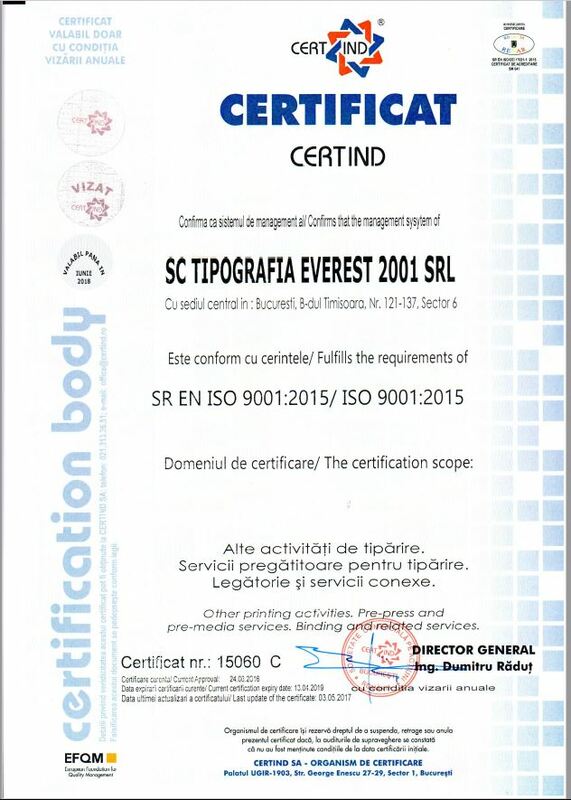 Quality is certificated at Tipografia Everest since 2007, according to the standards SR EN ISO 9001:2001 and SR EN ISO 14001:2004.